The success of your Marketplace relies on your ability to not only proactively recruit a large number of sellers, but also maintain the quality of these partners. After all, they are an extension of your company’s brand and stewards of your organization’s promise to customers. Your Marketplace buyers expect a positive and consistent customer experience, regardless of who is fulfilling the actual purchase. Inspect sales performance indicators: it’s necessary for your Marketplace team to inspect your sellers’ sales performance in addition to their level of service. Depending on how you structure your team, either your Business Development or Account Management employees may be in charge of this effort. They should be tasked with tracking specific level of service indicators to continually help sellers improve their performance. Audit sellers – and suspend if necessary: the Mirakl Marketplace Platform offers powerful tools to audit sellers, a feature our customers rely on to maintain consistency within their Marketplace. At times, this means suspending the activity of a seller if necessary. Service indicators can be configured to automatically suspend a seller in accordance with your requirements. Your Marketplace team is alerted of these suspensions immediately, allowing them to take action as soon as possible. Give your buyers what they need to better understand the dynamics of your Marketplace, and make the best purchase decision based on their expectations. Your sellers are one of the cornerstones of a Marketplace strategy. As you recruit sellers, expanding your Marketplace product selection, be sure to make resources available to manage and track their quality of service. Your Marketplace team should make the effort to both proactively and reactively identify, qualify, and finally, prioritize your sellers. Doing so could mean the difference between preserving, or risking, your brand. 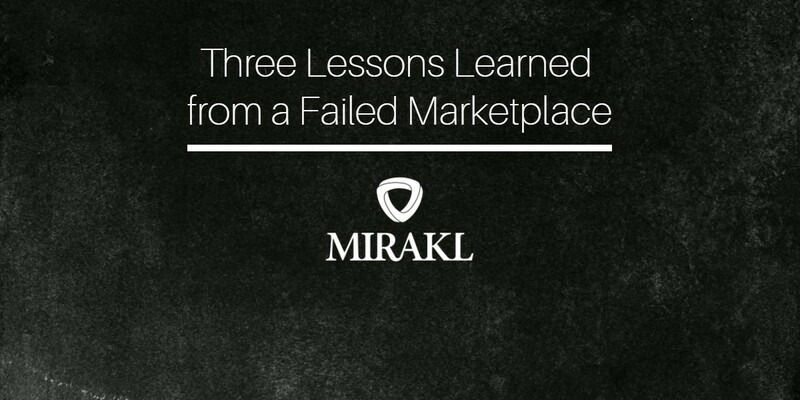 Learn more about Mirakl, the global leader in online Marketplace platforms.